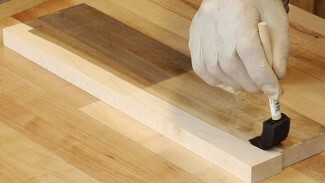 A table saw miter gauge is a handy “must have” accessory that can be used for a variety of applications. There are a variety of ways to set this up so that it is perfectly square, and George demonstrates a couple ways to do that here. 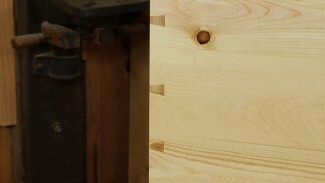 Assuming that you have mastered the basics of how to use a table saw, and understand the process of tuning the miter gauge so that it can enable perfectly square cutting, it is now time to tackle the next challenge which is to set your table saw miter gauge to any angle necessary to make the cuts that your project requires. To do this you will need a calibration tool that is used to set precise angles. One tool that could be used for this would be a protractor, which is commonly used in geometry applications. Unfortunately not all woodworkers have one of these in their shop, but in recent years there has been an increase in popularity in the digital angle gauge. A digital angle gauge can be used for a number of applications in a woodworking shop, such as setting a specific angle on a jointer fence, or dialing in a saw blade to a specific angle for a precise cut. Here George introduces a new application for the digital angle gauge, which is to configure a table saw miter gauge to a desired angle. 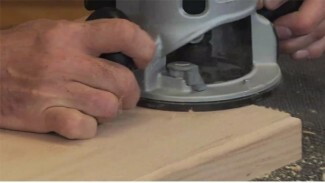 Calibrate the gauge to the work surface that you are using in order to ensure dead-on precision. 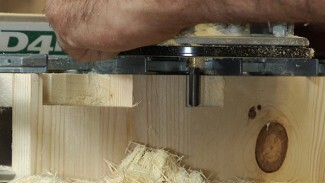 Then you will carefully make the adjustment on the miter gauge itself until you achieve the specific angle that you desire. Don’t settle for “pretty good” here; you’ve got the luxury of digital precision, so take your time and take full advantage of it!